Hi my name is George. Im 24 and I live in Cyprus. Im a mechanic working with my father at his workshop. I own a BMW E36 M3 for my daily and a E30 325i drift car that I compete with at our championship here and some events in Greece. I have been reading over the forums as best as possible in searching for information on my new purchase. I have concluded to the e46 m3. I am having quite a hard time locating a decent manual (non SMG and under 75 miles) in the northwoods "central Wisconsin" area. The car will be my daily driver as well as partake in a few casual auto-x events. My name is Richard, and I don't actually own a BMW (yet). Currently I've got an Evo 9 that's dedicated for autocross, and I'm considering picking up an E46 M3 for a street car at some point in the future. thanks for all the responses this site its awesome! Race: bicycles. I have a few karts and a BMW too. Race: just got a 97 e36 m3 coupe. Previously had a built 97 SS Camaro. I'm looking forward to building/driving this car for auto-x & track days. In between track cars, so HPDEing the crap out of my daily. Hi everyone. David McNeal (irish punk) I am new to BMW. Got myself a e36 obd2. I sold my dd/ auto x Audi A4 Quattro. I had a great set-up with that car. It will be hard to top but the rwd sure is fun. Anyone here from Portland? If so, do you know about the "red door" meet. Installing an obx diff later this month by the way. I will do a wright up if any ones interested. Ill post picks soon too. My name is Spencer and I'm from Northern California. 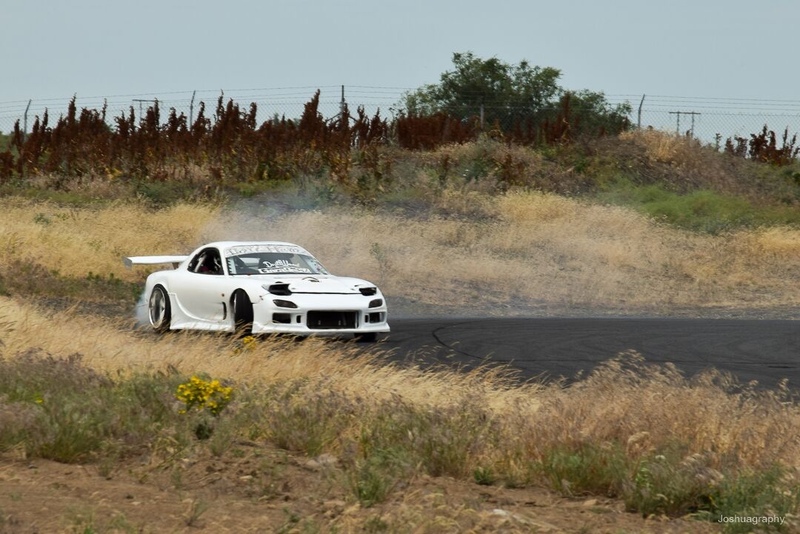 I just recently completed my first track event through Hook on Driving at Thunderhill on 9/28. Like I've seen other people write, the track bug has hit hard for me. I'm signed up for the NASA event at Sonoma Raceway on 11/9, the NorCal Shelby event at Laguna on 11/29, and the NCRC event at Laguna on 12/21. Hope to see a few of you out at these events! Last edited by m1356guy; 10-19-2013 at 09:19 PM. Reading here for a while, thanks for all the great information. Daily drive an 03 Audi A4 and I just picked up a 98 328i that needs some work. I plan on fixing it up and autocrossing it this year. Last edited by 507Derek; 01-07-2014 at 10:11 PM. AUtox only XP 95 m3 beast...looking for help and hopefully making some friends. Last edited by maxjns; 05-30-2014 at 12:54 PM. I drift an s52 powered 325is. Currently undergoing turbo build. Check it out in my signature. Cosmos E36 M3 x2 !!! Just bought my first bimmer, 98 E36 M3 Convertible. Going cone dodging. Hello. My name is Joe and I started doing track days this year with my '93 E36. I now have my sights set on club racing. I'm currently hunting for a NASA Spec3 build candidate to develop while I'm getting seat time in with my track car. I live 30 minutes from Road Atlanta and am averaging a DE a month, there or AMP. I'm hoping to eventually meet other aspiring racers here in Georgia to learn with, and maybe even kick-start the Spec3 group here in the southeast. So many E30s... where are my fellow E36 novices? name is chris, I have had many VWs over the years still have 2, MK6 GTI and 1990 corrado G60. I have enjoyed 12 HPDE events in the GTI. in feburary i decided to get a proper track day car, found a 1995 325i, 122K, stock. since then a lot of reading here on bimmer and a few parts deliveries. i made my first outing at corvette park apr2/3. great weekend, i have some more things to do but good starting point to enjoy the weekends. Started tracking a '95 M3 several years ago, and sold it to turn what was my wife's daily driver ('01 MCoupe) into my new track toy. You can normally find me at MSR Cresson whenever the PCA or BMWCCA have track days there. Actually saw myself briefly in one of the MSR Cresson videos someone shared in the track vids thread. Hopefully I'll post my own once I decide on a data/video setup. Last edited by Bobkid; 05-06-2016 at 04:02 PM. 2001 Steel Gray MCoupe - 140,000 miles and owned since new. Gaz gold suspension, Hotchkiss swaybar, poly bushings all around, cat delete headers with custom tune, 3.73 LSD, and Clownshoe Motorsports rear subframe reinforcement. Hey I'm Russ, I build cars mostly drifting and classics. I have a million projects. 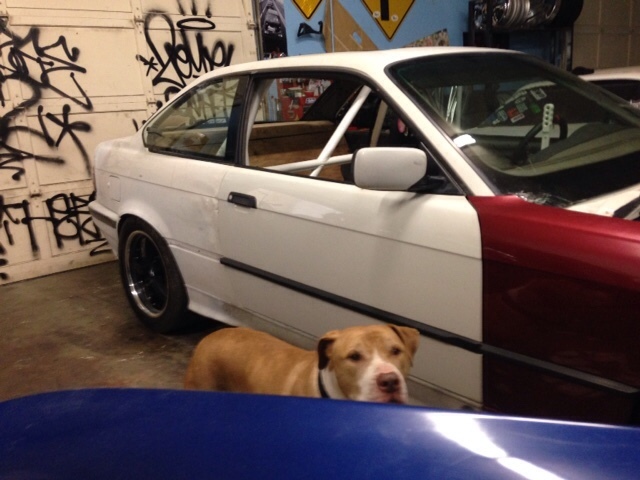 I have a e36 build going on now. I have an fd rx7 with an ls. It's my drift car. I have owned 3 bmws and I love them.